This is a partial transcript from the September 27, 2004 edition of "The O'Reilly Factor," that has been edited for clarity. Watch Part II and III of the interview on Tuesday, September 28 and Wednesday, September 29 at 8 p.m. and 11 p.m. ET! Catch "The O'Reilly Factor" weeknights at 8 p.m. and 11 p.m. ET and listen to the "Radio Factor"weekdays on Westwood One. BILL O'REILLY, HOST: OK. First of all, I want to thank you for talking with me, since so few people will. GEORGE W. BUSH, PRESIDENT OF THE UNITED STATES : Well, it's a big gamble on my part. BUSH: I enjoy how you interview people, and I appreciate you giving me the chance to come on and have, what we say in Texas, "Just a visit." O'REILLY: Yes. We're going to have a visit here. I've got 15 questions for you. If they're dumb, tell me they're dumb, because the audience will like that. If they're dumb questions say, "Look, O'Reilly, that's just dumb." The first one is, according to a poll taken by the Coalition Provisional Authority (search) last spring, only five percent of the Iraqi people see the United States as liberators. Are you surprised they don't appreciate the American sacrifice more? BUSH: I think they're beginning to appreciate the sacrifice, because the country is getting better. It's tougher than heck right now, because Zarqawi (search) and some of these former Baathists (search) are killing innocent Iraqis and killing our soldiers in order to try to get us to leave. I also saw a poll where it said, by far, the vast majority of the Iraqis believe the world is getting better. And that's positive. In other words, people are beginning to see progress. Electricity is better, schools are opening, hospitals are running. I think when it's all said and done, the Iraqis are going to look back and say: "Thank God for America." O'REILLY: How long is it going to take before that happens, do you think? BUSH : You know, as soon as possible. Now, I think the elections are going to have, you know, a very positive effect, and they take place in January. Look, the people want to vote. O'REILLY: ... and these guys are threatening them? BUSH: That's when you're supposed to vote. You've got to stand tough with these terrorists. You cannot allow the terrorists to dictate whether or not a society can be free or not. Do you remember what happened in Afghanistan (search) when the Taliban (search) pulled the four women off the bus and killed them because they had voter registration cards? I think there had been about 3 million Afghan citizens who had registered at this point in time. A lot of people said: Well, the elections look like they've got to be over in Afghanistan, because the Taliban is, too violent to allow the elections to go forward. Today 10 million citizens in that country have registered to vote, forty percent of whom are women, which is a powerful statistic. O'REILLY: The South Vietnamese didn't fight for their freedom, which is why they don't have it today. O'REILLY: Do you think the Iraqis are going to fight for their freedom? BUSH: No question in my mind, they will, you bet. I was with Prime Minister Allawi (search) yesterday. He is a tough guy. He is a strong leader. He believes the future of Iraq is the future of freedom, and he tells me that, you know that these places where they go bomb the recruits, the people trying to sign up to serve in the army or the police, the next day, more recruits come. BUSH: Because people want to defend their country. I believe that. You know why I believe that, and this is really important, it's because I believe everybody yearns to be free. I believe Muslims yearn to be free. And this is tough. Look, no question it's tough times. But if we send mixed signals, if we waver, the times will be tougher. That's what the terrorists are watching, they're watching us like hawks. O'REILLY: What happened to Saddam's chemical arsenal? Do you know? BUSH: No. I don't. We thought we'd have stockpiles. We do know he had the capability of making weapons. And that capability could have been passed on to terrorists, and that was a risk, after 9/11, we could not afford to take. O'REILLY: He hasn't given us much, has he? BUSH: No, well he doesn't have anything to, to gain by giving us much. I mean, he's going to go on trial, and the Iraqis will lay out a case. And, I mean, why would he tell the truth? BUSH: I think that the government of Iraq, Allawi, did a good job in Najaf (search) with Sadr. In other words, they now control the shrines, and they did so in a way that he, Allawi, thought would be best for the political process. In other words, there's a dual track here. There's a political process going forward and a security operation going forward. And the two must be parallel. And Allawi made the decision that the best operation in Najaf would be the way we handled it. And if they're saying that maybe last fall we should have moved on Sadr, it's a judgment call that history will have to look back on. I happen to think the transfer of sovereignty is a key moment in the history of a free Iraq. The reason I believe that is that the Iraq people are going to follow Iraqi leadership, not U.S. leadership. And Prime Minister Allawi's been there for about two and a half months, nearly three months. He's getting his feet on the ground. He's establishing a government, they're training police, they're training army, they're beginning to move out in, in places like Samarra (search) and Najaf in order to make the place a more peaceful country. O'REILLY: The "mission accomplished" statement in May 2003, if you had to do it all over again, would you not have done it? BUSH: Well, first of all, the statement said: Thank you for serving in Afghanistan and Iraq. Thank you for being on one of the largest, longest cruises in our nation's history. Thank you for serving our country. And we've still got tough work in Iraq. Now, I'm going to go and thank our troops every chance I get. O'REILLY: But the press spinned it, you know how they spinned it. BUSH: Well, they spin everything. O'REILLY: You've taken some heat for that. O'REILLY: Would you do it again? BUSH: You mean have the sign up there? BUSH: Of course. I'm saying to the troops, on this carrier and elsewhere: Thanks for serving America. Absolutely. BUSH: nd by the way, those sailors and airmen loved seeing the commander in chief. These kids had been on a very long cruise. They'd been on a cruise in two theaters of war now, Afghanistan and Iraq. I flew out there, and said thanks, thanks on behalf of a grateful nation. You bet I'd do it again. O'REILLY: This is really a tough one. O'REILLY: Iran said yesterday: Hey, we're going to develop this nuclear stuff, we don't care what you think. You ready to use military force against Iran if they continue to defy the world on nuclear? BUSH: My hope is that we can solve this diplomatically. O'REILLY: But if you can't? BUSH: Well, let me try to solve it diplomatically, first. All options are on the table, of course, in any situation. But diplomacy is the first option. O'REILLY: Would you allow Iran to develop a nuclear weapon? BUSH: We are working our hearts out so that they don't develop a nuclear weapon, and the best way to do so is to continue to keep international pressure on them. O'REILLY: Is it conceivable that you would allow them to develop a nuclear weapon? BUSH: No, we've made it clear, our position is that they won't have a nuclear weapon. BUSH: We have. I know it's a issue that you're concerned about. O'REILLY: Every year, 3.5 million illegals come over. Why can't the federal government control that? BUSH: It's working a little better. They're doing a pretty good job down in Arizona, which is the main border crossing. But I was trying to get my words here for a minute. I was trying to give you some facts. I think there's a thousand more border patrol agents along the border, we're modernizing border techniques, we're using better surveillance methods to stop crossing at the border. Now, look, people are coming up because they want to work. You know, family values don't stop at the border. BUSH: If you can make 50 cents in the interior of Mexico, and five bucks in the interior of the United States, you're coming for the five bucks, and they're poor. O'REILLY: Ninety percent of them are, but 10 percent are bad guys. O'REILLY: A lot of bad guys coming here. O'REILLY: We'll be in the grave. BUSH: I don't think so. It's happening. Look, I wish I could have taken you down there and shown you the northern tier of states in Mexico ten years ago compared to today. I mean, it's happening. Free trade helps lift lives, free trade develops commerce, free trade gives people a chance to realize their dreams. And so long as the wage differential is as big as it is, and so long as moms and dads feel the necessity to feed their children, they're going to come and try to make a living. BUSH: No, we're going to use the border patrol, beef it up, give it better technologies and better equipment to do its job. O'REILLY: OK. You know a lot of people are not going to like that answer, you know that. BUSH: Well it's a truthful answer. BUSH: No, I think the best way to do it is to give the border patrol the assets it needs to do its job. Watch Part II and Part III of our exclusive interview on Tuesday, September 28 and Wednesday, September 29 only on "The O'Reilly Factor" at 8 p.m. and 11 p.m. ET! Content and Programming Copyright 2004 Fox News Network, L.L.C. ALL RIGHTS RESERVED. Transcription Copyright 2004 eMediaMillWorks, Inc. (f/k/a Federal Document Clearing House, Inc.), which takes sole responsibility for the accuracy of the transcription. ALL RIGHTS RESERVED. No license is granted to the user of this material except for the user's personal or internal use and, in such case, only one copy may be printed, nor shall user use any material for commercial purposes or in any fashion that may infringe upon Fox News Network, L.L.C. 's and eMediaMillWorks, Inc.'s copyrights or other proprietary rights or interests in the material. This is not a legal transcript for purposes of litigation. umm... whoops. bush might have pissed off one of the segments of asian american society that strongly supported him. BILL O’REILLY: The South Vietnamese didn’t fight for their freedom, which is why they don’t have it today. O’REILLY: Do you think the Iraqis are going to fight for their freedom? 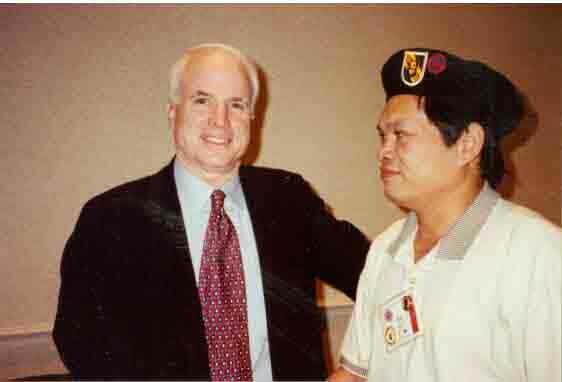 DEAR EDITOR: President Bush must know that most anti-communist Vietnamese believe that the United States was right in supporting the Republic of Vietnam with aid and soldiers. 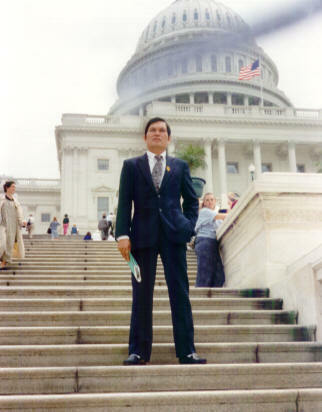 However, Americans and the Republic of Vietnam lost the war because Washington lacked resolve while the South Vietnamese leaders believed that Washington would never accept the dishonor of total defeat. The U.S. armed forces relied too much on their great firepower and modern weaponry and equipment. Tactics of conventional battle were mainly applied against the enemy’s unconventional psychological warfare. The South Vietnamese soldiers had a strong will to fight and were well-equipped with modern weapons, but they were defeated largely by Washington’s lack of resolve: 223,748 South Vietnamese soldiers died and 1,169,763 were wounded, along with 58,000 American GI casualties. Mr. President, where were you during the Vietnam War? Why did you not serve? I respect our president. 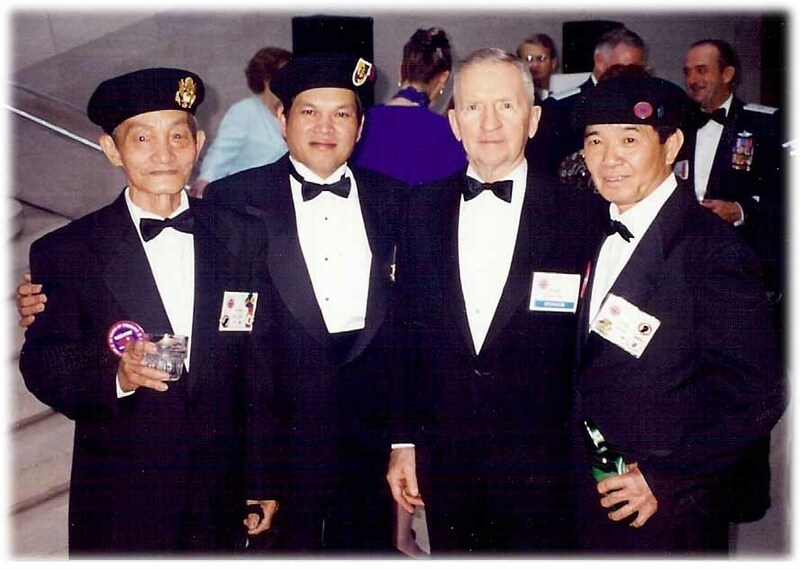 However, I think that he owes the Vietnamese American community and former South Vietnamese soldiers a big apology. DEAR EDITOR: In a Sept. 27 interview on The O’Reilly Factor, President Bush affirms that everybody yearns to be free: The Muslims yearn to be free and the Iraqis are going to fight for their freedom — but the South Vietnamese did not fight for theirs. What a shocking statement, especially when it comes from the president of the United States. 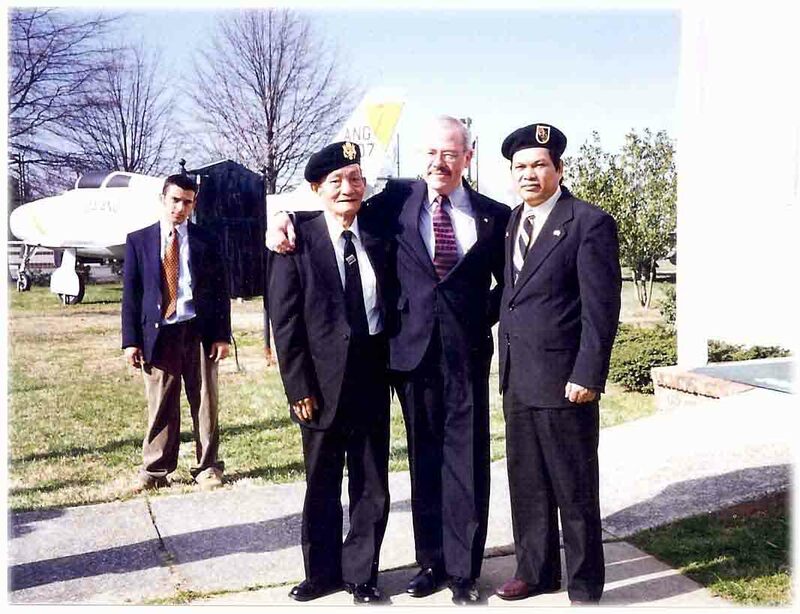 Bush clearly showed a disregard for the sacrifices of the Vietnamese people, his disrespect toward Vietnamese Americans, and a complete lack of knowledge about history, war and foreign policy. Bush also disclaims the noble American cause of assisting the South Vietnamese in their fight for freedom during the Vietnam War. We must have quick, unified and decisive actions to restore the honor and respect for our Southeast Asian and Vietnamese American communities. If we do not act, similar incidents will happen again. For example, Secretary of Defense Donald Rumsfeld recently made similar remarks disrespecting South Vietnam. We will not let anybody misjudge and dishonor us. I wonder how Viet Dinh feels about this? haha. Maybe next time he will let someone else write the patriot act. I'm actually hoping for more of these remarks, maybe the old vietnamese here will finally wake up. I know exactly what VVongba meant and that it's nothing more than a typo and I make many more typos than VVonba does but regardless, the thought of bush and o'reilly being the piss of vietnamese americans is a hoot. LOL, your evil knows no bounds, does it not? On topic, Bushie putting his foot in his mouth? The hell, you say. Way to phrase a question for your esteemed president, O'Reilly. Dumbass. Bush is a dumbass for not realizing what he was saying. Bush should've clarified: "Actually, the South Vietnamese most certainly did fight for their freedom--I didn't fight for it."